What do you know about Indian Gooseberry? This is a fruit that is rich in benefits, also known as Amla. Among the health benefits of Amla is preventing premature aging. This fruit is globally known as Indian Gooseberry, it is loaded with nutrients and thus becomes a natural remedy for various health problems. Amla is one of the ancient herbs in the Ayurveda medicine system. The dominant nutrients are vitamin C, calcium and iron. The taste is delicious and the benefits are amazing, now Indian Gooseberry is famous not only locally but also overseas. In this article, we will explain the amazing benefits of Amla. To find out the various benefits, read on our article. Amla fruit is included in the superfood category because it is full of anti-oxidants. The function of antioxidants is to reduce cell damage and prevent the formation of cancer cells because it reduces the impact of free radicals. Free radicals are potent substances in nature that cause cell damage, DNA and protein damage. This damage causes premature aging, but by consuming Amla someone can prevent premature aging because it can minimize the adverse effects of free radicals. A sore throat is very annoying, you feel sick when swallowing or drinking water. So, the natural remedy that you have to try is Amla. Make amla juice and mix with a few pieces of ginger, add one tablespoon of pure honey. This herb is proven to be effective in overcoming sore throats. 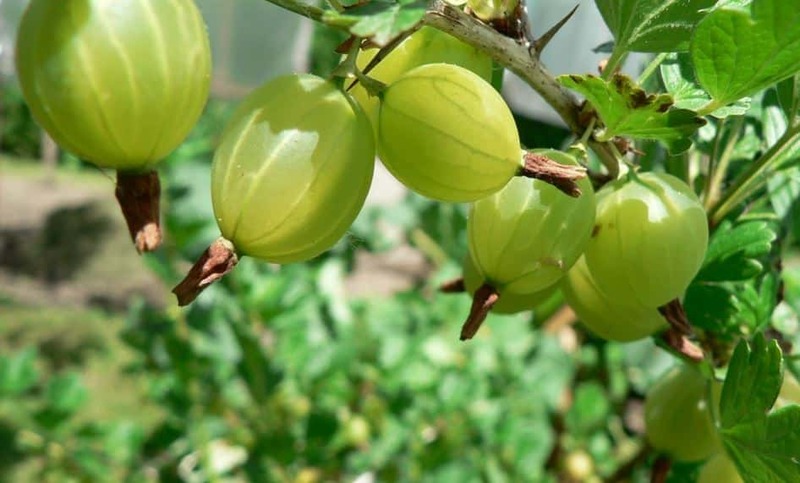 Consuming Indians Gooseberry can increase the frequency of urination. This is a diuretic fruit so that you urinate. The urinating is the process of removing toxins in the body, with increasing frequency of urination, toxins in the body will be disposed of in large quantities. Not only are poisons released in urine, but also salt, and gout. So, consuming Amla is very good for detoxifying poisons in the body. Someone who has heart disease, the biggest cause is bad cholesterol in the bloodstream. By reducing the amount of bad cholesterol, the risk of heart disease can also be minimized. Amla or Indian Gooseberry is a super fruit that can reduce cholesterol in the body, meaning that it prevents heart disease and prevents clogging of blood vessels by producing more good cholesterol or HDL. The results also show that consuming Amla or Indians Gooseberry is very good for preventing thickening of the blood vessel walls. This is the first sign of a person’s heart attack. The health benefits of Amla are helping to absorb protein so it is good for increasing metabolic activity. This metabolic rate is measured by how fast it can burn calories in your body. If burning calories is fast, of course the process of weight loss is also optimal. When burning calories quickly, then the energy level produced is also fast and this also affects overall muscle mass. The benefit of Amla or Indians Gooseberry is to reduce blood sugar levels. This includes fruits that are rich in polyphenols which are useful for protecting the body from excess blood sugar. So, Amla fruit is good for therapy for those who experience high blood sugar. Besides that, amla also helps insulin absorption well. Diabetics are highly recommended to consume amla fruit regularly. The next Amla health benefit is to increase the body’s resistance to foreign body attacks. Why not, Amla is a fruit that says antioxidants, vitamins, and tannins. Tanin can turn into a free radical eraser when combined with polyphenols. This means that Amla is good for reducing damage to body cells due to free radicals and increasing the body’s ability to fight various diseases. Fiber is very important for good digestion. Good digestion is also very important for maximum waste disposal in the body. Not only that, but Amla is also rich in water and anti-inflammatory. Overall, Amla or Indians Gooseberry is very good for the health of the digestive system. Gastric ulcers or boils are common in those who do not control their eating patterns. However, you can overcome this problem by consuming Amla regularly. Amla is a fruit that is rich in anti-bacterial and it reduces the level of acidity in the stomach. In turn the ulcers will heal. Who would have thought that Amla could prevent gallstones. This is amazing! Excessive cholesterol can cause gallstones and vitamin C to turn cholesterol into an emulsion in the liver. Eating amla fruit regularly on a regular basis is very good for blocking bad cholesterol in the body and is good for treating gallstones. Amla can reduce stomach acid production and attack inflammation that might occur. In addition, amla is also useful for controlling the liver and removing toxins from the body. If you consume it regularly every day, the amla fruit can make your eyes brighter, healthier, not itchy, not sore and not runny again. Health benefits of Amla are also good for preventing constipation. High fiber content, amla is good for your digestion and can treat constipation. Calcium is one of the minerals found in Amla. So consuming amla regularly is also good for strengthening bones. In addition, Amla can also reduce osteoclasts in the body. These are cells that are responsible for bone damage. So, consume Amla or Indians Gooseberry to get strong bones. Indians Gooseberry is also useful for purifying the blood and increasing the amount of hemoglobin and good for red blood cells. The high antioxidant in Amla is very beneficial for blood health. Vitamin C levels in Amla are three times higher than in oranges. The function of vitamin C is to increase tannin in the body and protect the body from the heat. Amla is anti-bacterial so it is good for preventing infection. Among the infections that can be prevented are jaundice and scabies. 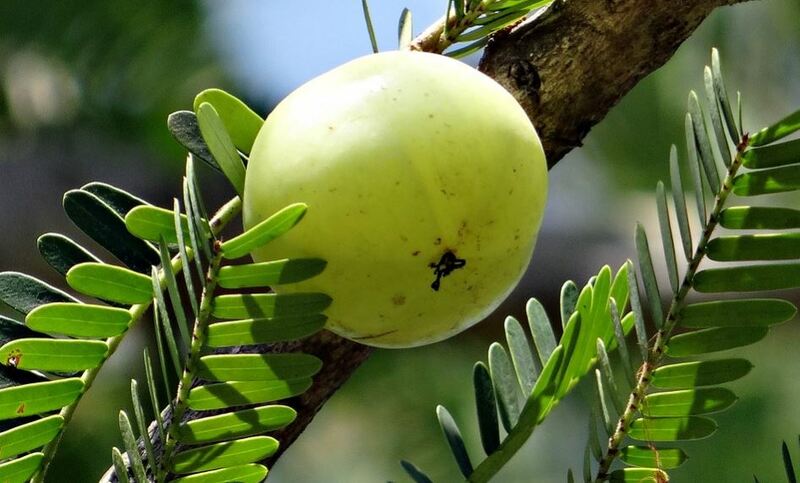 To fight infection (jaundice) is to diligently consume Amla fruit. As we already know that Amla is a high-antioxidant fruit. Because of its high antioxidants, it is good for almost all diseases. There are substances called “superoxide dismutase” that are useful for attacking free radicals which in turn are good for preventing and treating cancer. In addition to counteracting the bad effects of free radicals, consuming amla regularly can also counteract the adverse effects of alcohol on the liver. In addition, amla fruit also prevents the negative effects of alcohol. Consuming amla regularly is also beneficial to make skin glow. Amla contains vitamin C which is good for removing dead skin cells. Aside from being consumed, Amla juice is also good for facial masks, after using it on the face, let it sit for a few minutes and rinse thoroughly. The content of vitamin C is also good for lightening the skin, see below how to make herbs. Take a bowl, crush the papaya in a bowl, add half a teaspoon of pasta amla, and half a teaspoon of honey. If you have lice in your hair, you can use amla to get rid of fleas. Take some amla and soak them in water. Let stand overnight, the next day amla grows to become a paste like soap. This paste is used to wash your hair, this will kill fleas. You can also use amla oil, amla oil to get rid of lice, dandruff and moisturize the scalp.